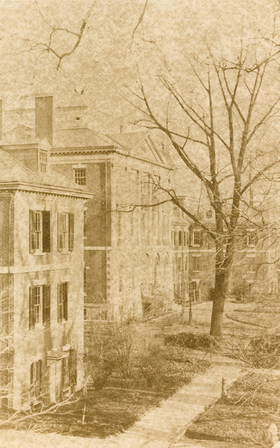 Historic Pennsylvania Hospital received its charter in 1751, but the earliest available photo of the hospital's Pine Building, above, dates to April 1861. Holding a prominent place on the hospital's main floor is the gallery of the Health Care Hall of Fame, sponsored by Modern Healthcare, on display since the first honorees were inducted in 1988. 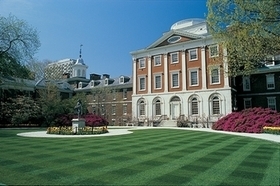 Pennsylvania Hospital-known as the nation's first hospital-was built more than two decades before the American Revolution.The campus as it appears today.